ICE AND FIRE is a community project designed to explore and record prehistoric archaeology at risk in eroding areas where artefacts have been found on the surface. Fieldwork is now complete for this summer but there will be opportunities for finds handling and volunteer training later in the year, offering the opportunity to be part of a friendly team. 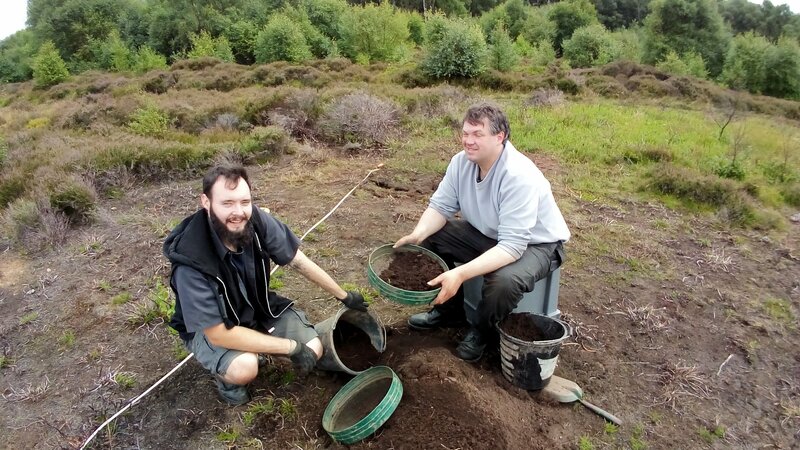 Volunteers will have the chance to learn about archaeological fieldwork techniques, recording and finds analysis under expert guidance – no previous experience is needed. We will train you. Fieldwork opportunities include excavation of test pits as well as seasonal field-walking. Indoor activities will include finds processing and analysis. You can contact the project team to register your interest. UPDATE July 2018 | No fieldwork is anticipated during 2018. However, we are planning some finds handling and training events for volunteers during autumn and winter – announcements and emails to follow. Under 18s are welcome and should to be accompanied by a parent or guardian. For students, early career archaeologists and regular excavation volunteers, the Archaeology Skills Passport is a great (and inexpensive) way to record your learning and experiences. The comprehensive Passport is increasingly used by Universities, commercial employers and community ventures.